performance Mega Show ‘ of Maharashtra Cosmopolitan Education Society (Azam campus) students held on 11th April 2019.Dr PA Inamdar (president,MCE Society) inaugurated the show. Sanjay Nahar (President,Sarhad organization), Mumtaz Sayyed(Director,M.C.E.Society,Pune’s PAI-ICT Academy), principals and other staff were present at demo. 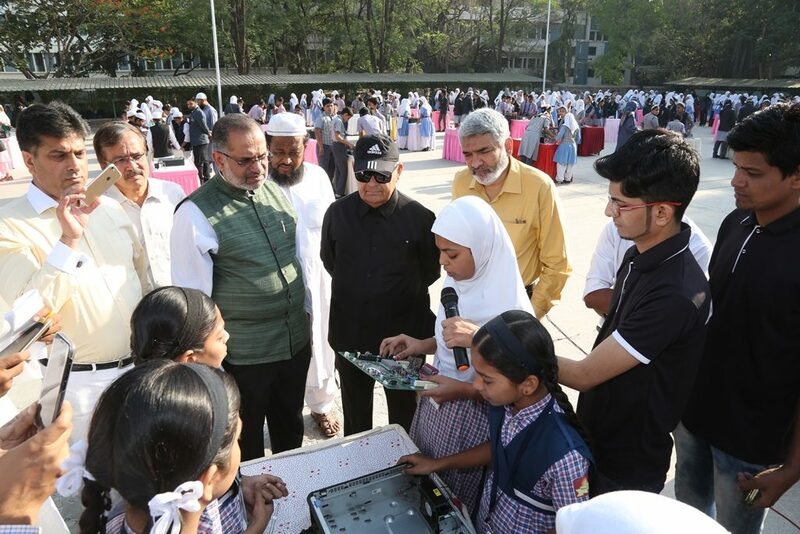 921 trained students of Computer Hardware, Mobile Repairing and Robotics presented live demo of their skills in function ground at Azam Campus and 950 students preented their skills in class rooms of the schools at Azam Campus.